Prominent & Leading Manufacturer from Mumbai, we offer hydraulic elevators, dumb elevator, commercial dumbwaiter elevator and dumb waiters lift. 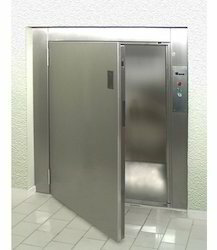 With thorough industrial knowledge, we are engaged in manufacturing and wholesaling of a wide range of Dumb Elevators. This range is ideally used for installation tasks in several hotels, hospitals, residential and restaurants. 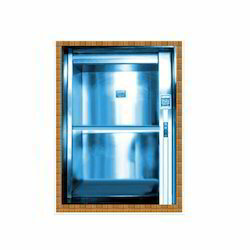 Also, this range is termed as heavy duty elevators and is utilized for vertical transportation. Owing to years of experience, we are offering a quality range of Commercial Dumb Elevators, the Dumb Elevators are known for their durability and safe use. These products are suitable to meet the applications of various industries. Moreover, one can get these products in committed time frame. Star Elevators provides a complete line of standard and custom residential and industrial dumb waiters for home or industry to suit your needs. In addition to this time saving appliance, our Dumb Waiters Lift can add value to your home and replace old manual dumbwaiters. In residential settings an electric dumb waiter saves you from dragging laundry and groceries from floor to floor, lugging firewood or suitcases from a ground level garage or basement, all of which can create stairway accidents. Our unique electric dumb waiter design reduces approximately 80% of labor normally associated with a product of this type including manual dumb waiters. All low voltage electrical control wiring is pre-wired for ease of assembly. 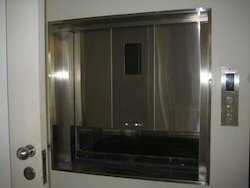 Contractors find that an electric dumbwaiter elevator will many times clinch the sale of a home. In commercial applications industrial dumbwaiters and restaurant lifts increase productivity and decrease the strain on your workforce. For businesses our industrial dumb waiters save time hauling mail or packages between multiple stories. 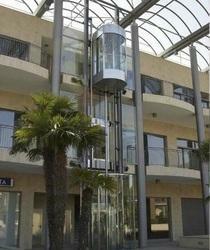 For multi-story restaurants our restaurant lifts save time transporting food from kitchen to dining area. Drive systems are pre-assembled and aligned at the factory.